First there were Amish vampires in space. 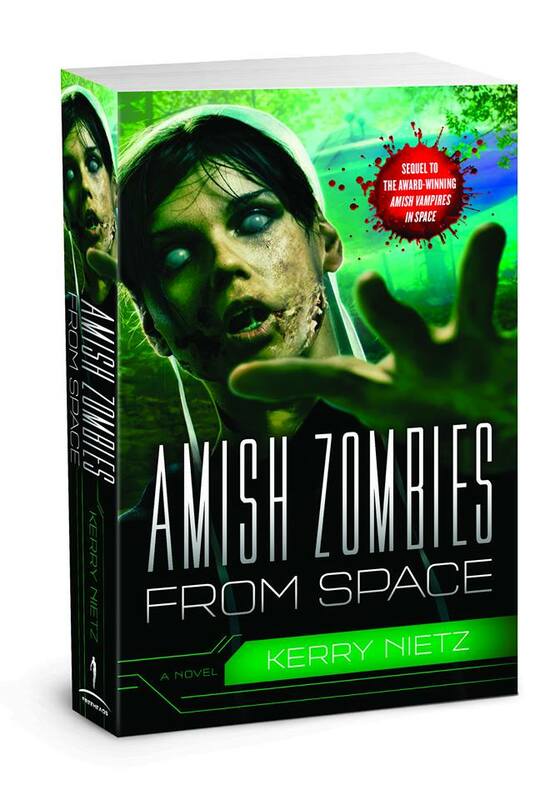 Now here come Amish zombies *from* space. First there were Amish vampires in space. 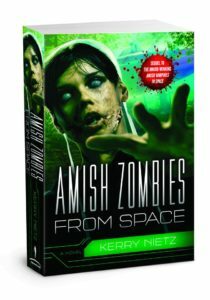 Now here come Amish zombies, from space — which of course implies they are going somewhere else, possibly where you are hiding. Author Kerry Nietz‘s science fiction followup may have a campy title. But if it’s anything like Amish Vampires in Space, the story will actually be intended as a fun yet serious deconstruction of several genres and their themes. Nietz is the author of The DarkTrench Saga series as well as Mask. Sweet! I missed when the story first broke. It looks even better and more legit than the first cover. Can’t wait! The only thing is, I hate “stickers” about series, bestselling numbers, or other things. The red messes with the overall look to me.